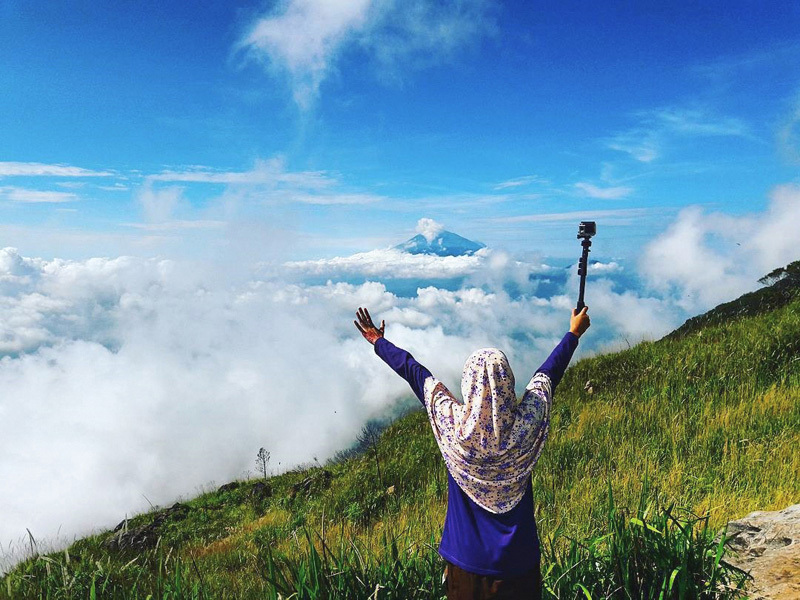 Did you know that you can find stunning sceneries and chilly highlands just 2 hours from the city of Yogyakarta? 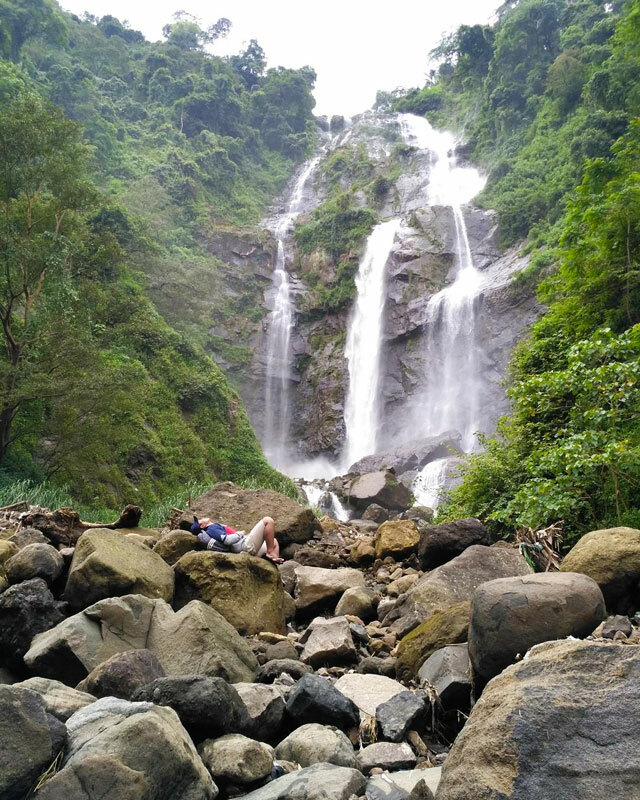 Bandungan and Ungaran are two small mountain towns where you can find amazing natural features like hiking trails, mountains, lush forests and magical waterfalls. 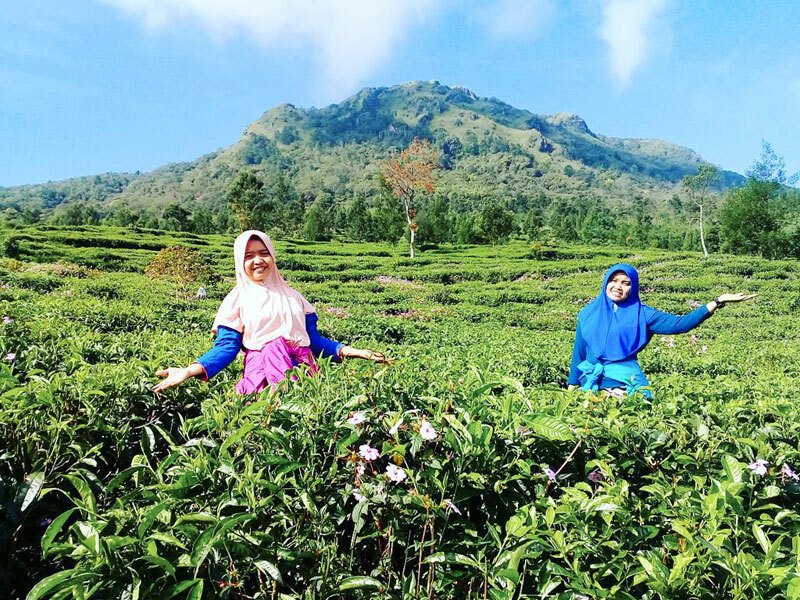 While it gets scorching hot in Yogyakarta, you will be glad to know that it is pretty chilly in the highlands of Bandungan and Ungaran. Forget about packing your sun cream; but be sure to bring along your scarf! Both are great places to enjoy the great outdoors that will keep you warm with their treks and other activities! 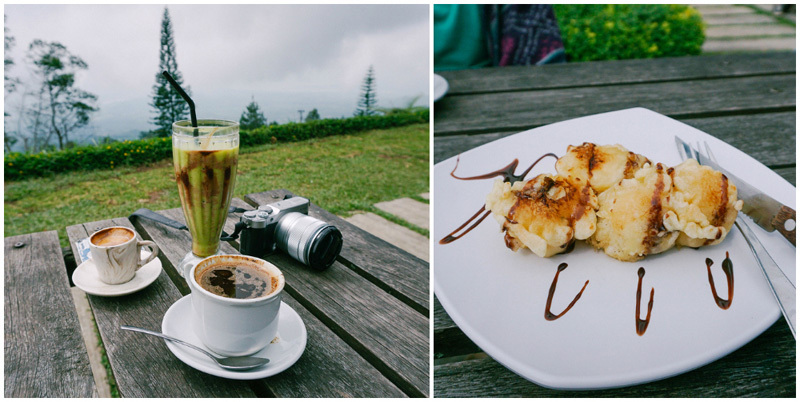 Lovely weather, picturesque sceneries and barely any crowd; what else can you possibly ask for? 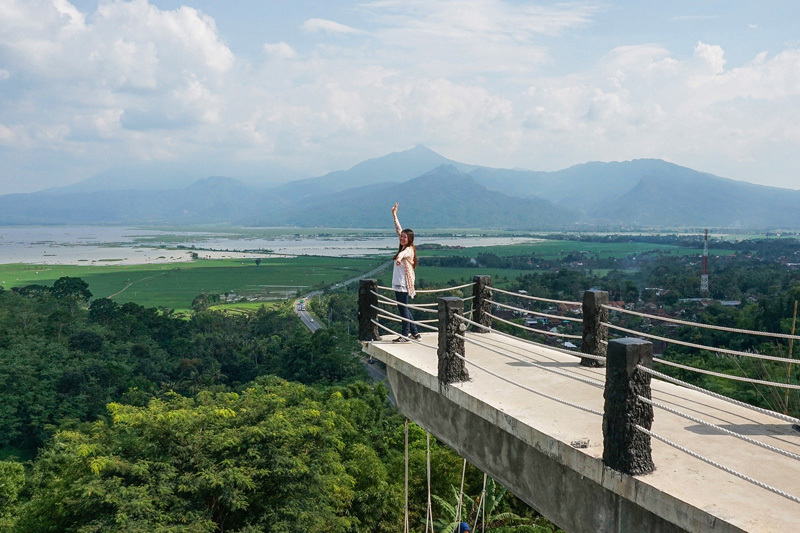 You’ll enjoy beautiful views along the way as you take a road trip here from Yogyakarta! 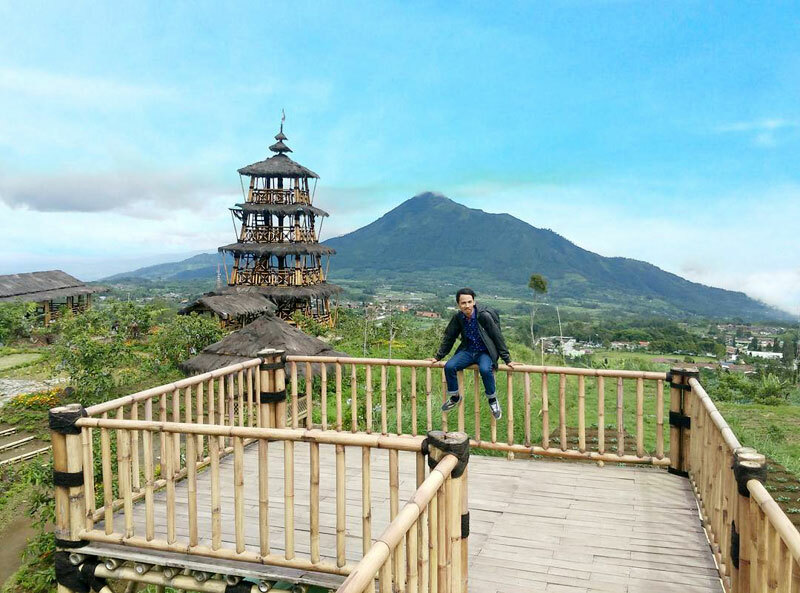 12 Hidden natural attractions in Magelang with spectacular views of mountains, valleys, rainforests and waterfalls! Step 1: Take AirAsia, SilkAir, Singapore Airlines, or Garuda Indonesia from Singapore Changi Airport to Yogyakarta Adisutjipto International Airport. Flight duration: 2 hours 10 minutes. Return flights from SGD 76. Step 2: Rent a car (with driver) from Yogyakarta and drive to Bandungan and Ungaran. Trip duration: 2 hours 45 minutes. Step 1: Take AirAsia from Singapore Changi Airport to Semarang Achmad Yani International Airport. Flight duration: 2 hours. Return flights from SGD 150.25. Step 2: Rent a car from Semarang (with driver) and drive to Bandungan and Ungaran. Trip duration: 30 minutes. Step 1: Take AirAsia or SilkAir from Kuala Lumpur International Airport to Yogyakarta Adisutjipto International Airport. Flight duration: 2 hours 35 minutes. Return flight from RM 256. Step 2: Rent a car from Yogyakarta (with driver) and drive to Bandungan and Ungaran. Trip duration: 2 hours 45 minutes. Step 1: Take AirAsia from Kuala Lumpur International Airport to Semarang Achmad Yani International Airport. Flight duration: 2 hours 35 minutes. Return flight from RM 301.53. Step 1: Take Lion Air, Sriwijaya Air, or AirAsia from Soekarno Hatta International Airport to Yogyakarta Adisutjipto International Airport. Flight duration: 1 hour 10 minutes. Return flight from Rp. 680,000 (approximately USD $26). Step 2: Rent a car from Yogyakarta and drive to Bandungan and Ungaran. Trip duration: 2 hour 45 minutes. Step 1 : Take Lion Air, Sriwijaya Air, Citilink, or Nam Air from Soekarno Hatta International Airport to Semarang Achmad Yani International Airport. Flight duration: 1 hour 05 minutes. Return flight from Rp. 614,000 (approximately USD $41.34). Step 2: Rent a car from Semarang and drive to Bandungan and Ungaran. Trip duration: 30 minutes. This story would not have been possible without the support of Indonesia Tourism Board. For more information, check out Yogyakarta’s official website and Semarang’s official website. 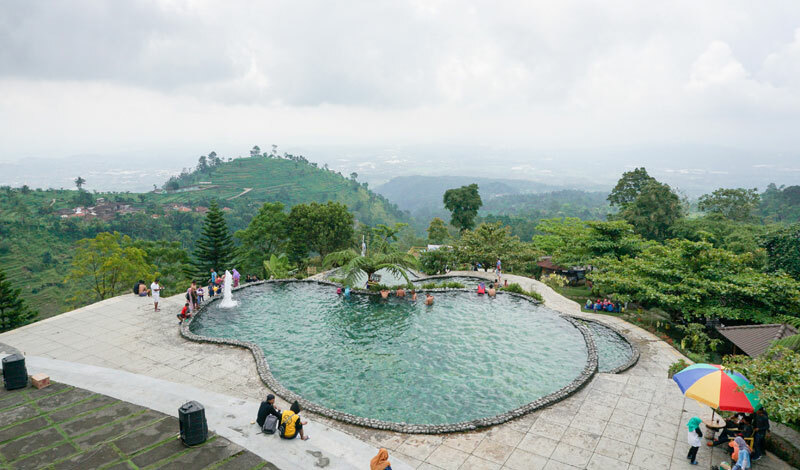 If you think only azure waters, high mountain peaks and indulgent meals are worth a spot on your Instagram feed, Ayana Gedong Songo might change your mind. 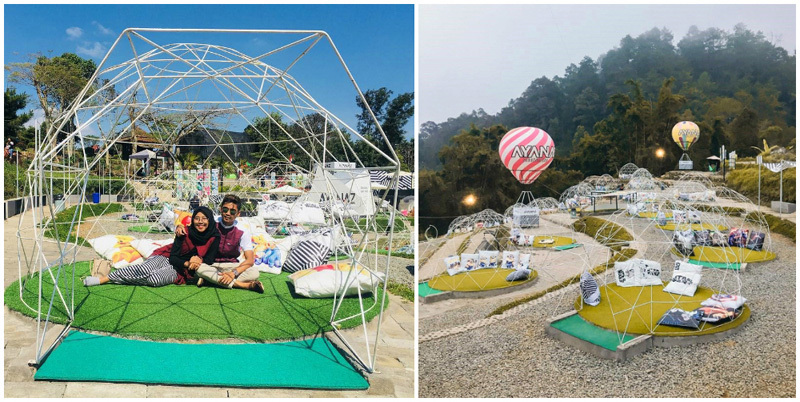 Drop by this hipster insta-worthy spot while in Bandungan and enjoy picture-perfect moments in bubble tents with giant plush teddy bears, Hello Kitty cushions and many more, including a VIP Lounge area with drinks and food! 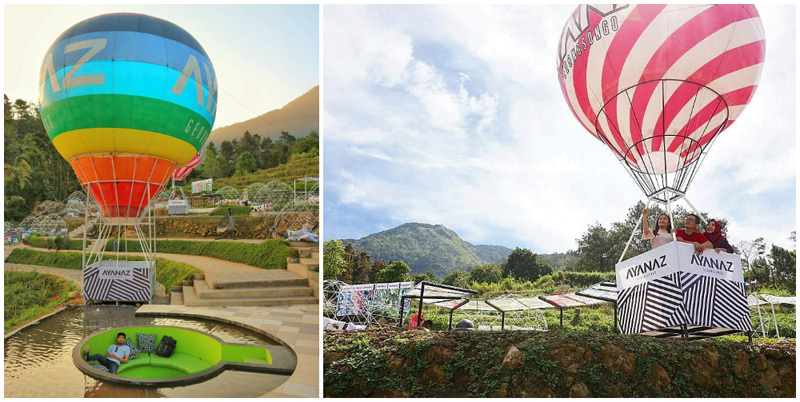 You’ll also get to pretend you’re heading off to the sky in a hot air balloon; all you need to do is get the right angle before you can snap and post to brag about it on your social media feed! If you’re looking for a quiet romantic retreat in the highlands, you will love Susan Spa & Resort. 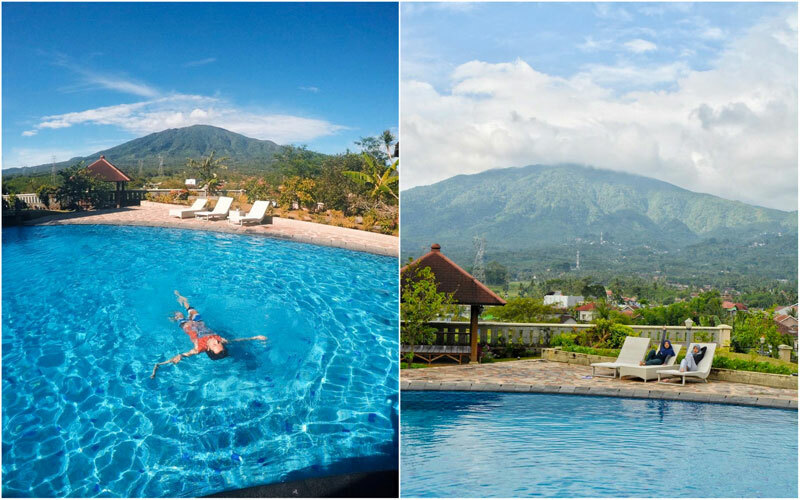 Although located in a tranquil setting, this beautiful resort is shamelessly seductive, and with the misty clouds and chilly weather in the highlands, you’ll almost forget you are in tropical Indonesia! Checking-in to our huge Prince and Princess Suites was like a dream come true – a treat for all our our days on the road. Travelling with 10 luggages? No problem, there’s room for all of them! The staff were all very warm and hospitable, that we felt very much comfortable during our stay. The suite interiors feel and look like a royal mansion – the type of room you’ve dreamt about when you were a little girl and thought you would grow up to be a princess! If you’re lucky, you might even see the mountains in the distance at sunrise (you have to be really lucky as it is so misty). 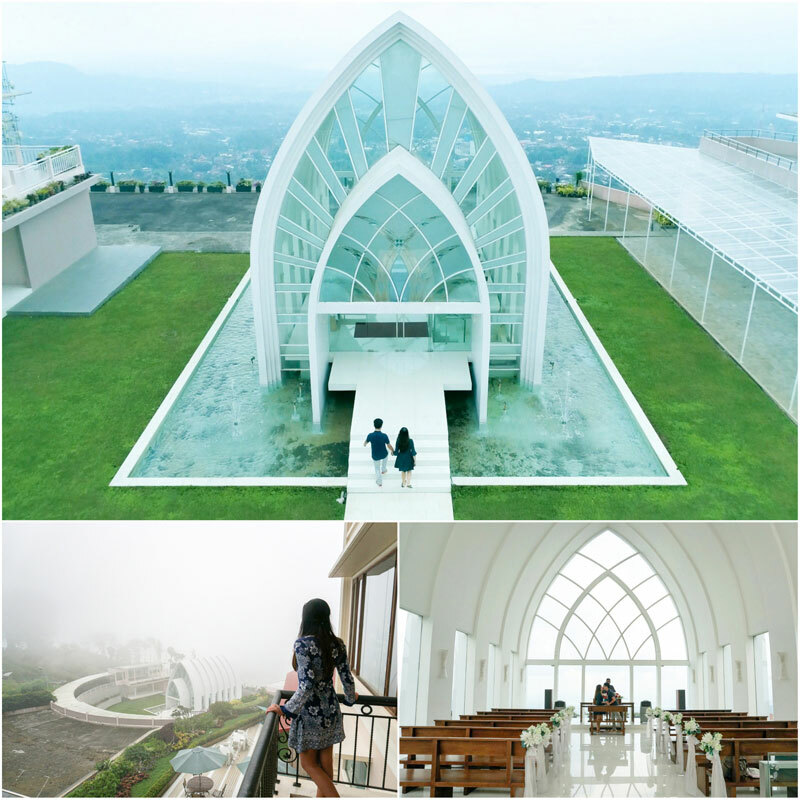 The resort is a popular choice among couples, especially for weddings as it features a glass chapel (La Kana Chapel) within its compounds. If you’re here for your special day, be ready for a big one and consider staying at their Grand Suite for the night – it is their most luxurious room, with a heart-shaped jacuzzi inside the bathroom! Don’t miss their Spa in the Sky too. 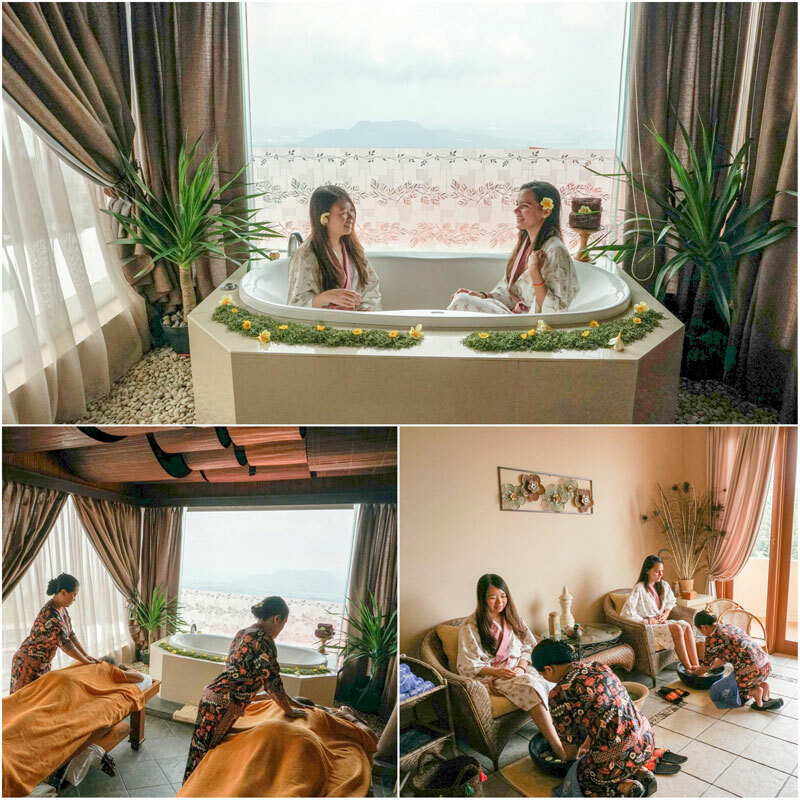 We enjoyed their Signature Susan Massage and Tropical Nut Scrub – very refreshing! 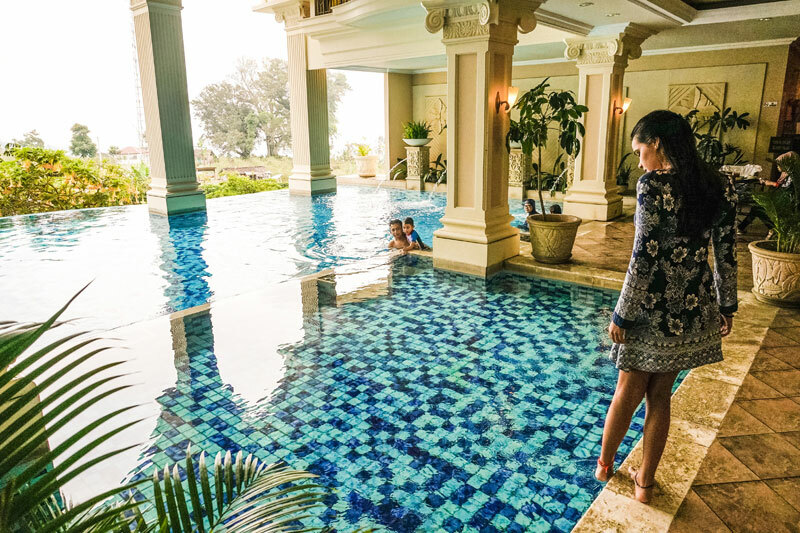 After your relaxing spa, enjoy some splashy time in their semi-outdoor swimming pool (heated on weekends and public holidays). What a way to spend your day! 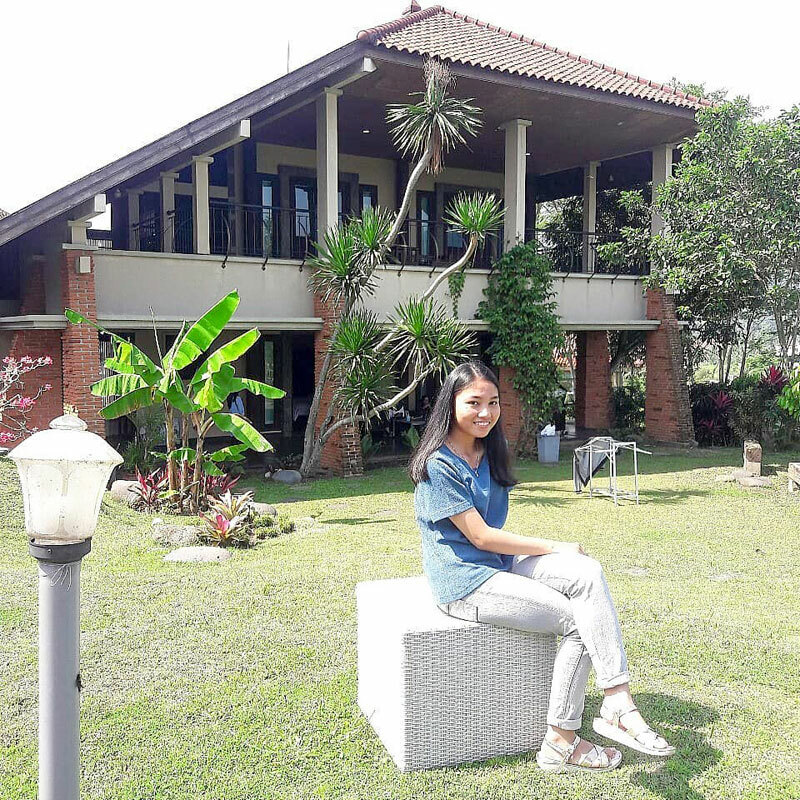 For those in search of magical mountain sceneries, do consider staying at Villa Petra while visiting Ungaran. 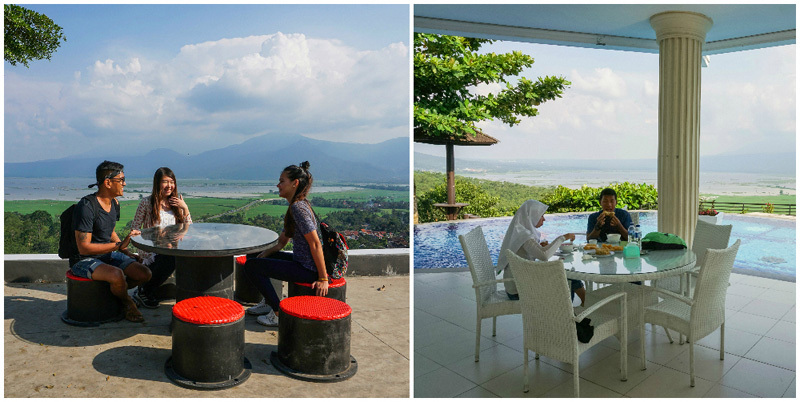 The stay is known for its drop-dead views of the nearby mountain! 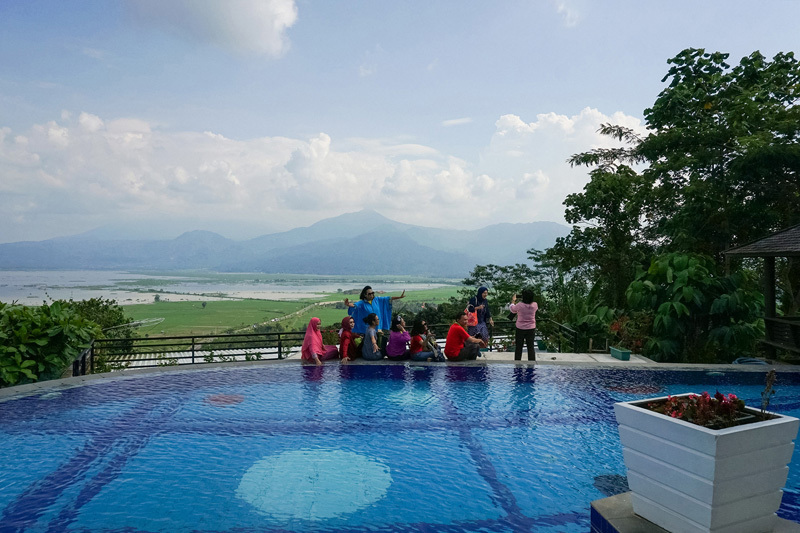 We are not saying that the other surrounding homestays do not offer beautiful views but Villa Petra has upped the ante with a range of comfortable facilities for that perfect family vacation. You also get to enjoy spacious rooms, a sauna, an exercise room as well as a tub overlooking the lush greenery! One of the greatest things about road trips is getting the chance to take in breathtaking scenery that you usually can’t find at home. If you want to really savour that experience, stay in a hotel that offers spectacular views right from your room. Hotel Griya Katarina is far from being your luxury hotel stay but the view it offers is pure luxury itself! 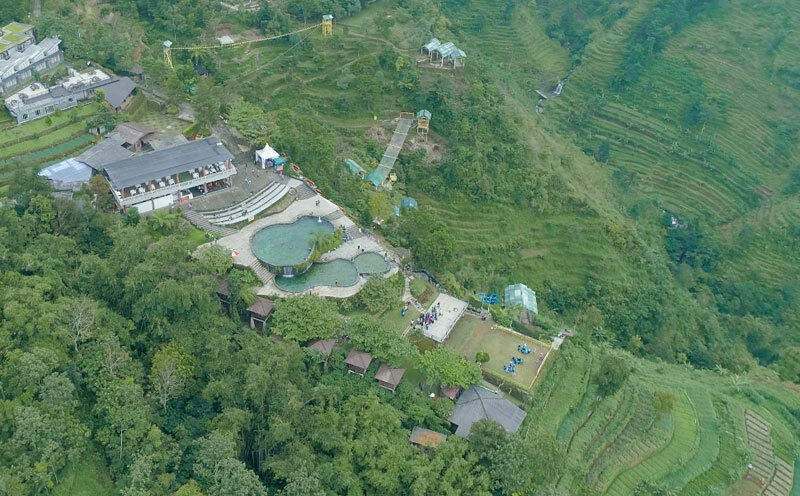 The hotel is popular among Catholic pilgrims who visit the surroundings as it’s near the Maria Kerep Cave, so we recommend you to book early! 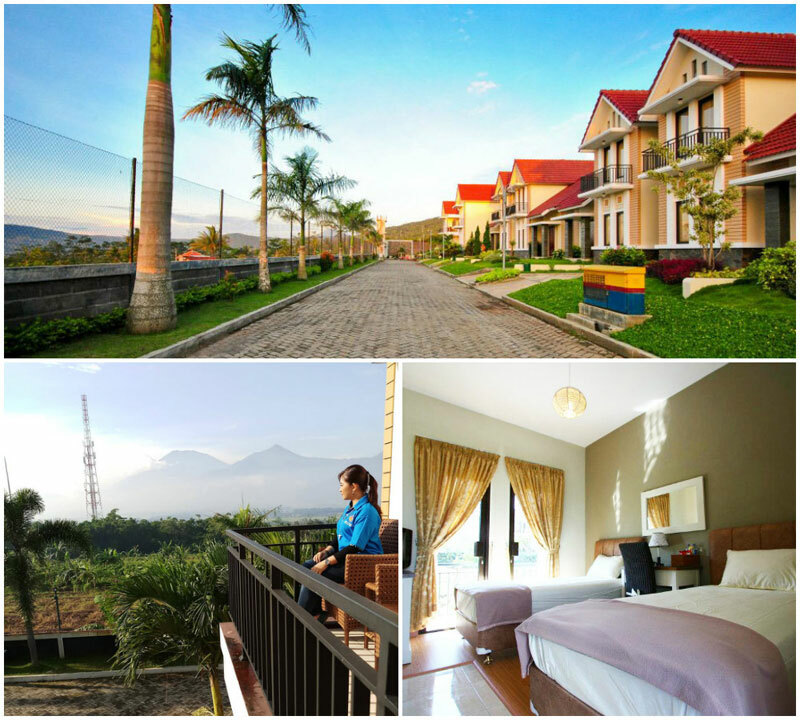 Grita Katarina offers various room options and welcomes families with their villa room too. 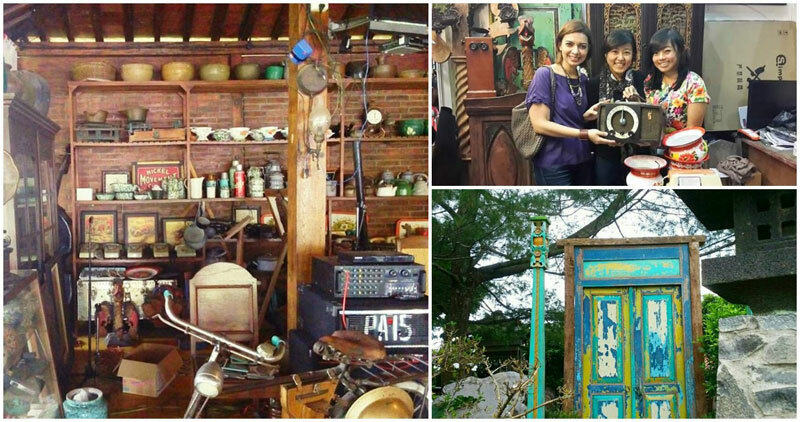 Nearby, you’ll be able to find local food stalls and other attractions like the train museum. Rates: Contact the hotel directly to check. Sometimes we wonder if fairylands exist. Or if there are magical places in the world that come close. 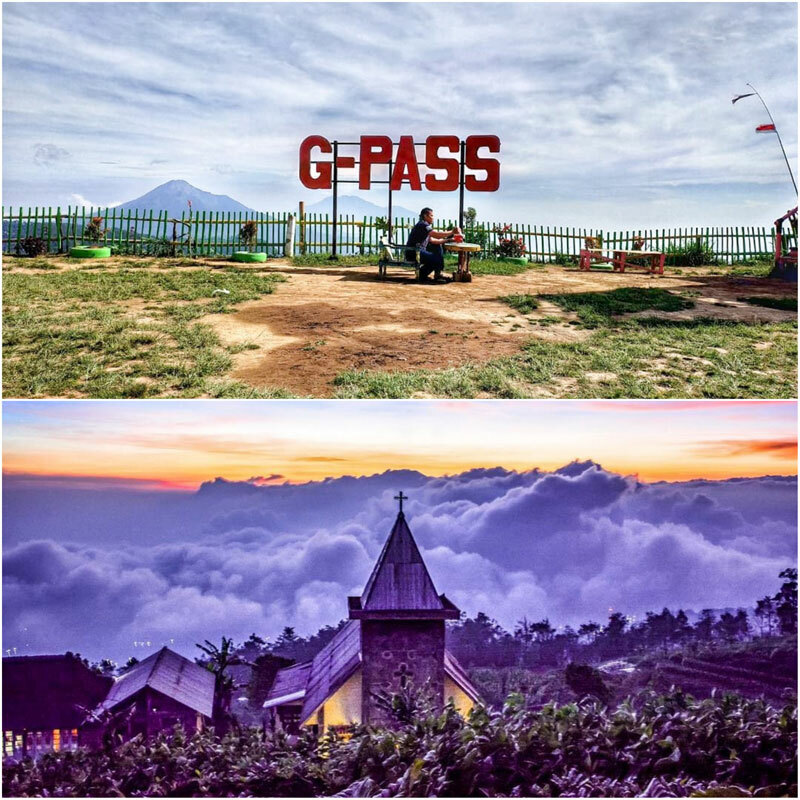 Gedong Pass is one of them. 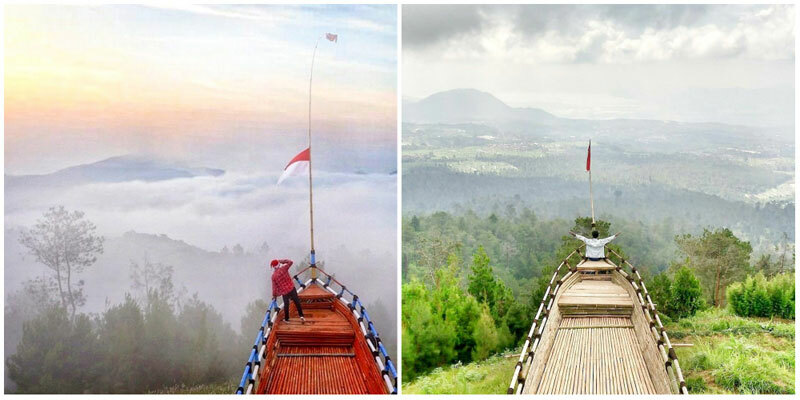 Board the wooden boat and float above the clouds while you relish on spectacular views of the surrounding forests and mountains. The boat not only serves as a picture-perfect prop but also as a viewpoint! P.S. 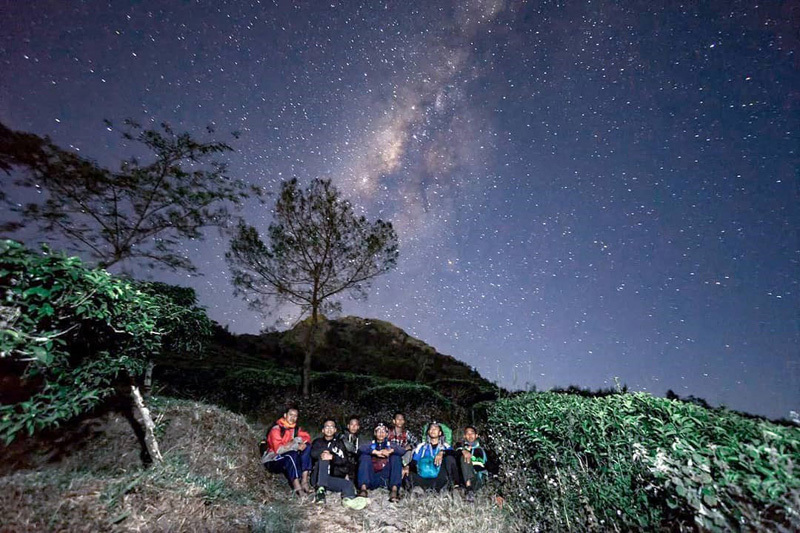 Many visitors have seen the Milky Way at night too! Indonesians love their coffee. They love it so much that they are ready to go off-the-beaten track to enjoy it. 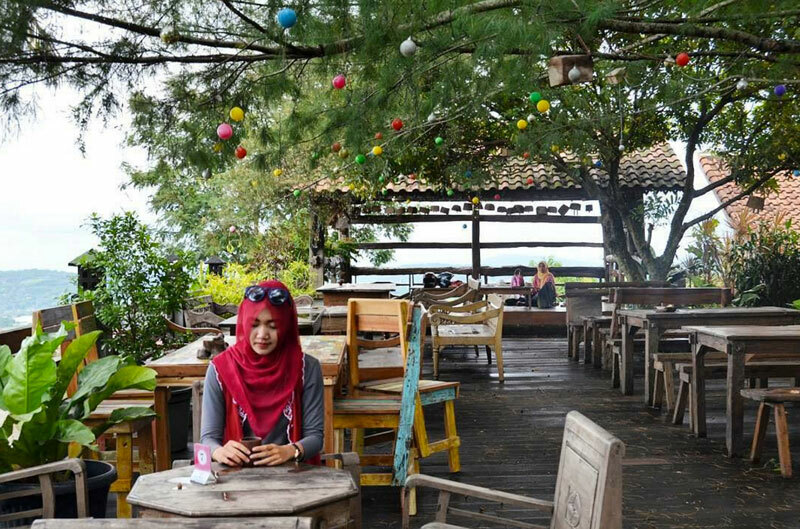 At Pondok Kopi, you can enjoy your long black in the highlands – way above sea level, with panoramic views of the village and afar mountain ranges. We also spotted a waterfall! P.S. We recommend coming here earlier for breakfast to enjoy the lovely morning mist! 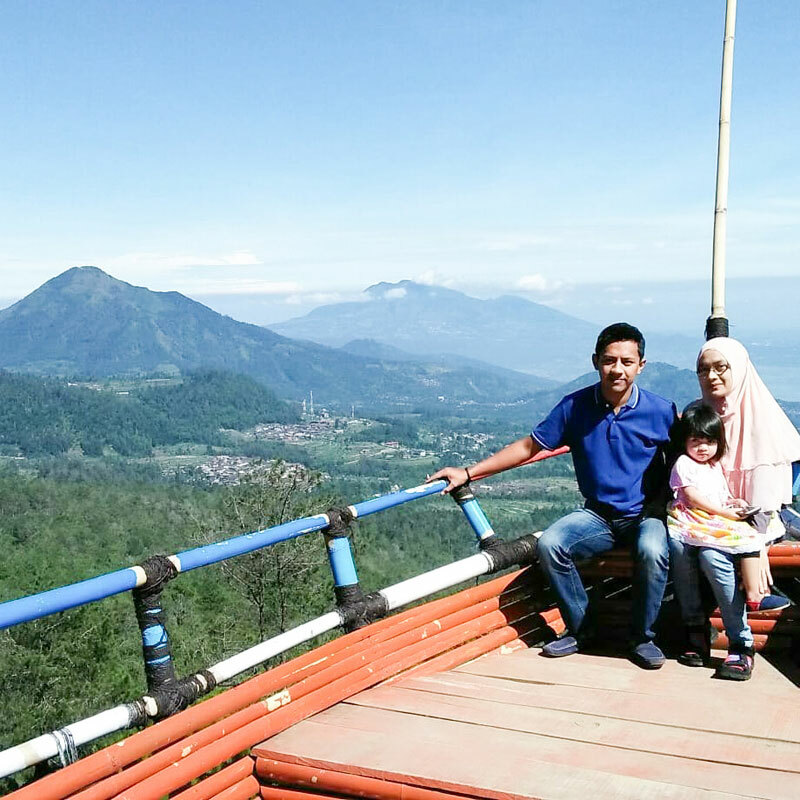 If you’re travelling here as a family with kids or teenagers, be sure not to miss this spot, where you will be greeted with great views, fresh hilly air and plenty of fun outdoor activities for everyone! 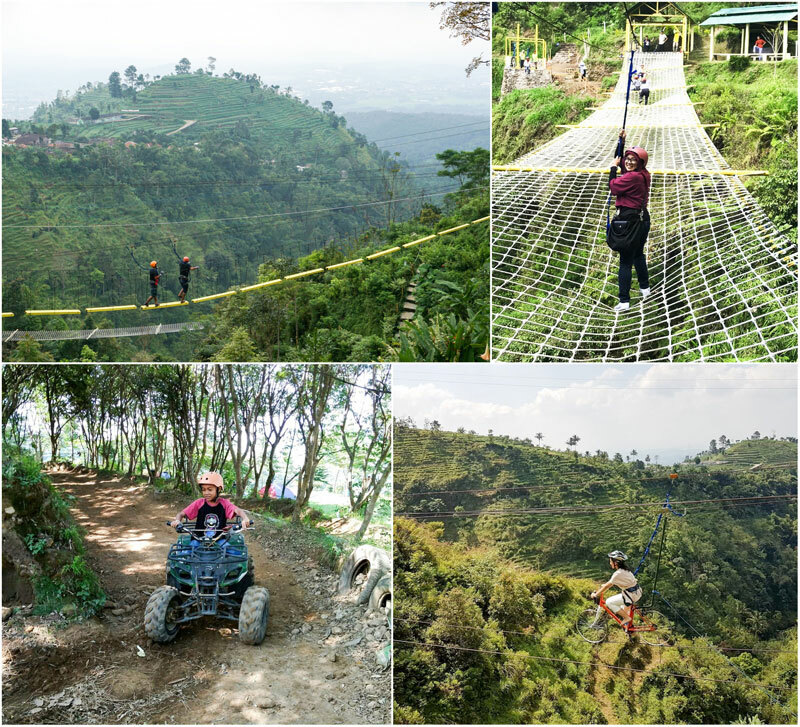 Test your adrenaline with their exciting activities like the flying fox and suspension bridge; both offering spectacular views of the nearby ravines and plantations. 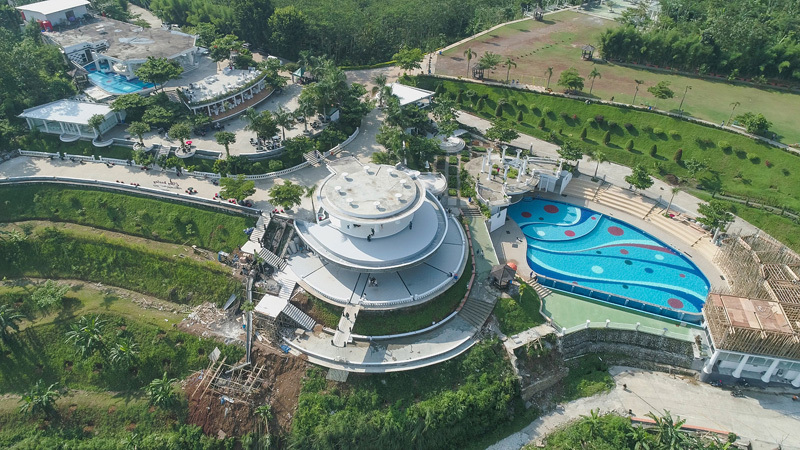 Once you’re done, simply plunge into the three-tiered pool for yet another unlimited family fun moment! You’ll also find Instagrammable platforms atop trees and other picture-perfect spots that will please every member of the family! 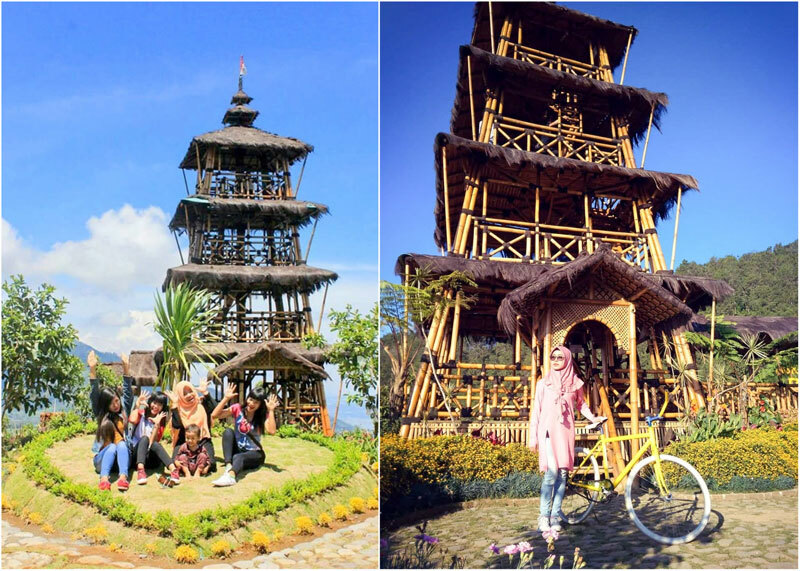 Although man-made; everything at Agro Wisata Kopeng lets you immerse in nature – viewpoint towers and cross-over bridges are made out of bamboo, while the spot is surrounded by blooming flower fields of flamboyant colours. 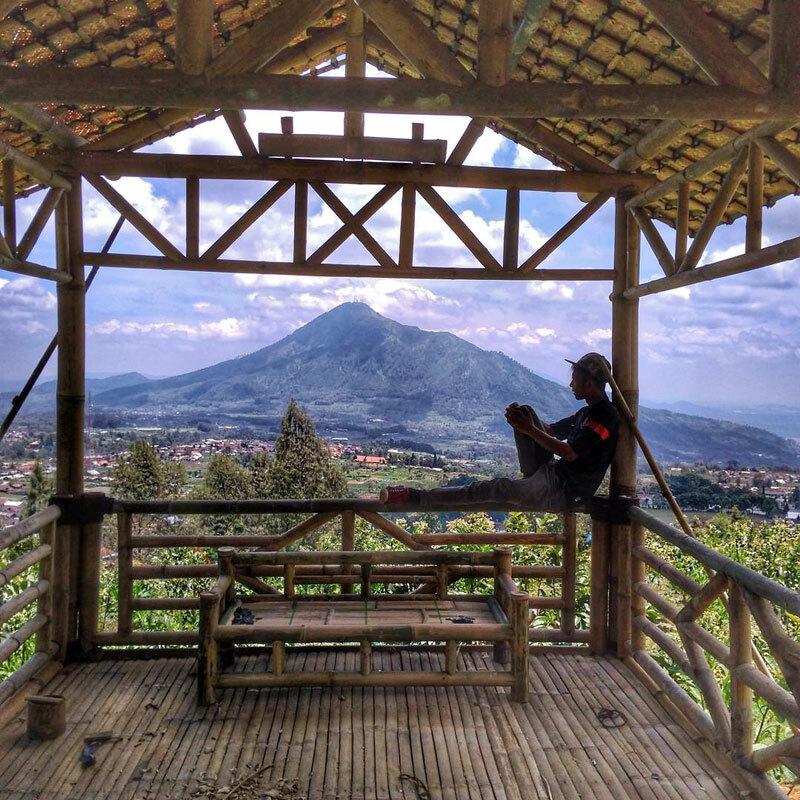 Atop the tower viewpoint, you will get to indulge in panoramic vistas of the nearby Mount Slamet, Mount Sumbing, Mount Sindoro, Mount Telomoyo, Mount Andong, Mount Gajah, and Mount Merbabu – all 7 at once! Don’t expect much in terms of action as this ecotourism spot is a place for you to relax and simply put aside all your worries – come here for the views but stay for its tranquility! 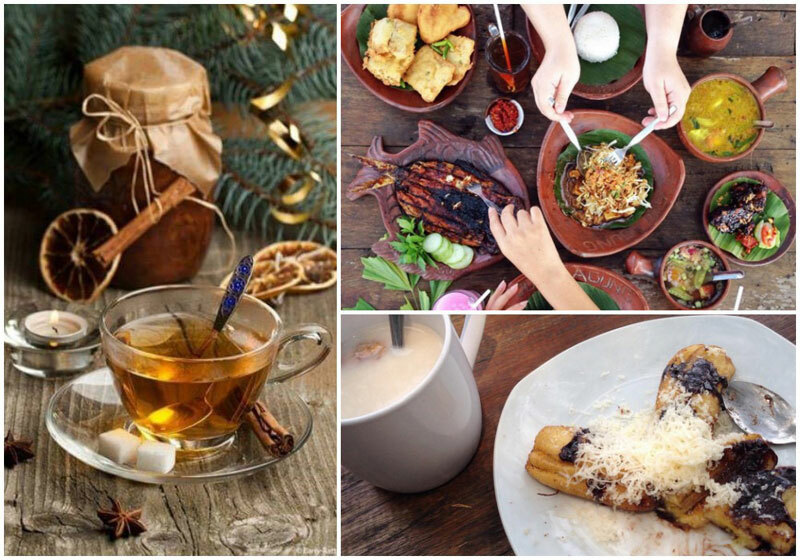 This experience is pretty much as though you’re eating out of a museum, but don’t expect meals as antique as the decorations, as Joglo Agung Resto and Gallery offers delicious local dishes with a touch of contemporary cuisine techniques . One of the to-die-for specialities is the Grilled Ribs; nothing quite compares to the joy of feasting on fresh juicy and smoky meat marinated in a special concoction of herbs and spices while taking in the cool air of the highlands! If you are an old soul and love collecting unique items, rejoice as the antiques at the gallery are also available for sale; these won’t only beautify your home but could also make great souvenirs! There’s definitely more than just food in here! 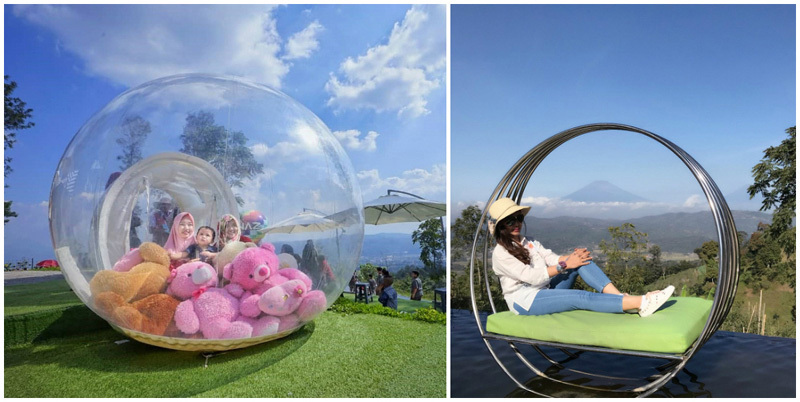 Of course we mean the view but also fun family-friendly activities. We dropped by here while they were reconstructing some areas, but we were already in awe for all of its offerings bursting with life and activity. 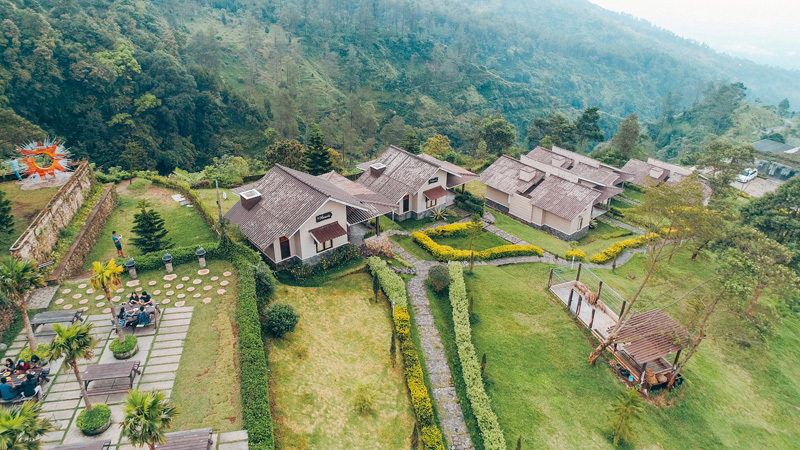 Eling Bening is set on a vast plot of land overlooking endless scenic views of the nearby greenery dotted with rice paddy fields, majestic mountain ranges and coffee plantations sitting comfortably in the arms of the legendary Rawa Pening Lake! 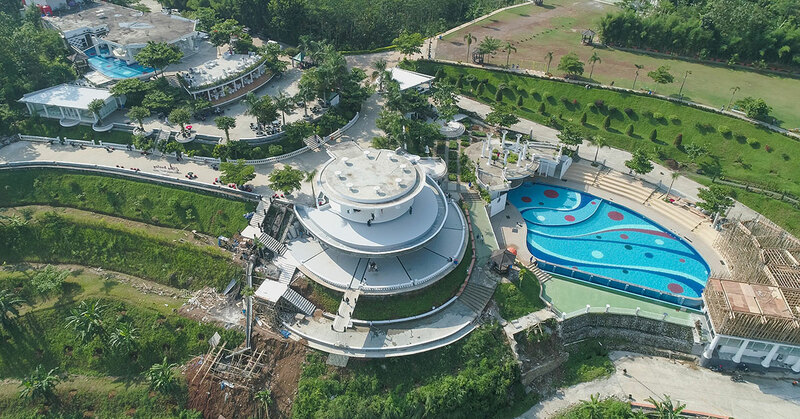 In addition, you’ll find it easy to escape from any tantrum moments here as there are plenty of activities to keep the kids busy, expect lots of fun times with the flying fox, children playground, swimming pools, archery and more! Once you (or your kids) have burned out all of your energy, settle for a delectable Indonesian meal at the on-site restaurant; their Grilled Fish is what most people go after! 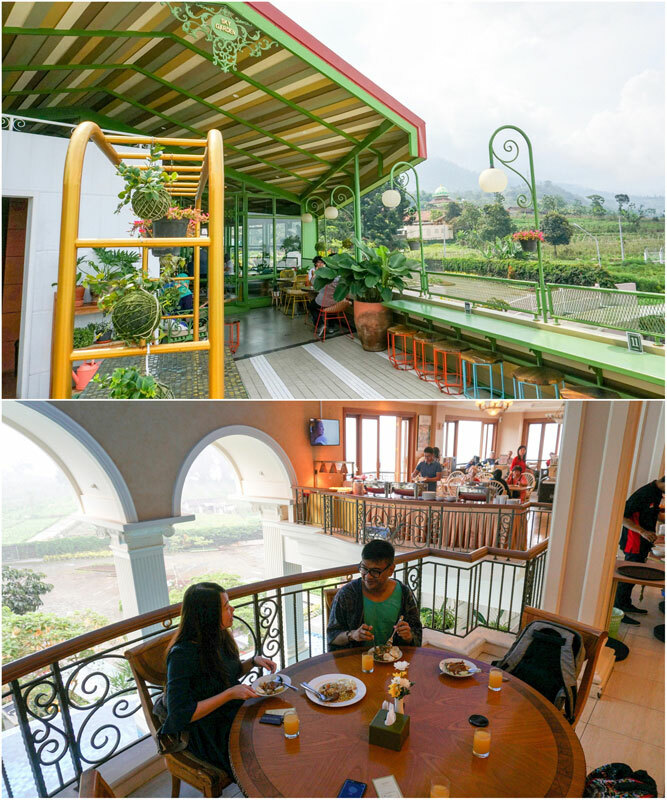 We simply love the idea of Eling Bening being a one-stop-location for ultimate fun, delicious food and amazing views! 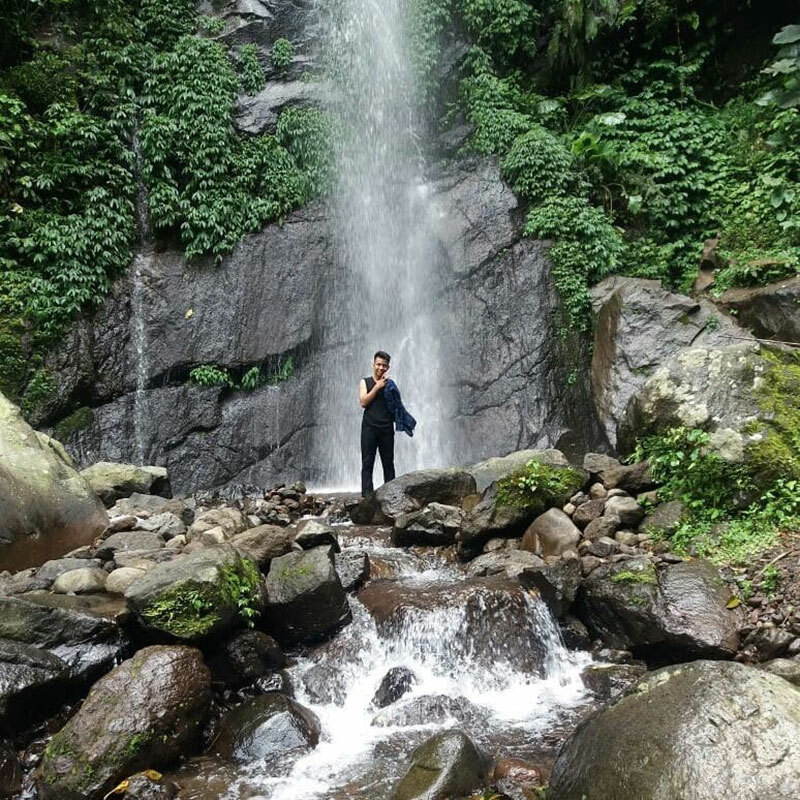 Mount Ungaran is considered as a mecca for nature enthusiasts – the hiking route offers great immersion in lush forests, passing through clear-water rivers and refreshing secret waterfalls. 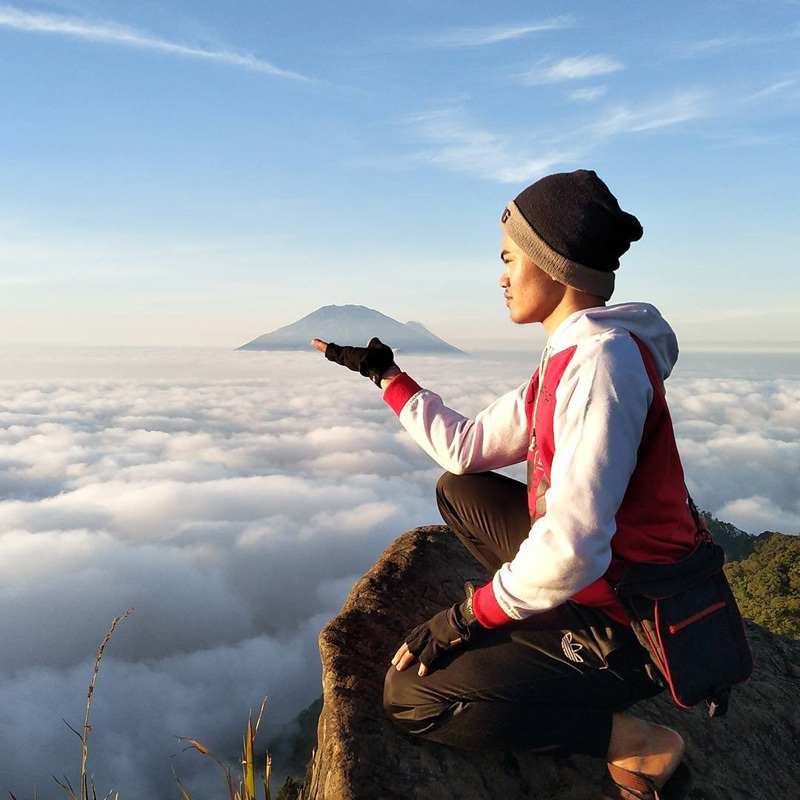 At sunrise, as a reward to your tough hike, you will also behold an amazing panorama of sea of clouds along with mountain ranges as the backdrop. You can get to the top of the mountain top via different routes, and you can drive up halfway on some. Most hikers prefer spending two days on this hike, as camping on-site is a magical experience – you’ll even get to see the Milky Way! Since the terrain gets rocky and narrow, we recommend this adrenaline-filled trek only to seasoned hikers. 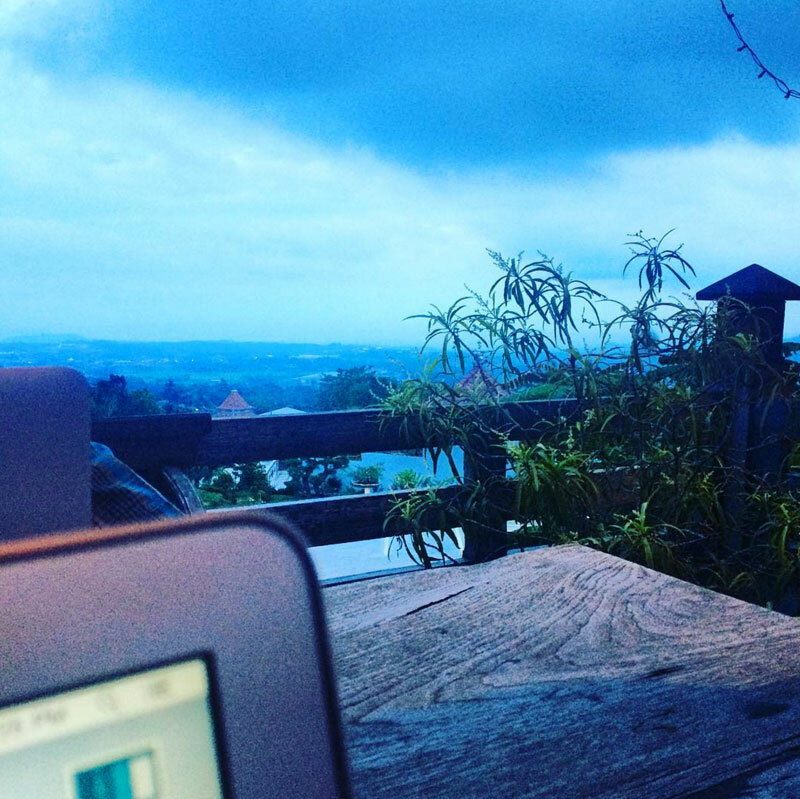 It’s a tough one but the view will make you feel like you’re on the top of the world! 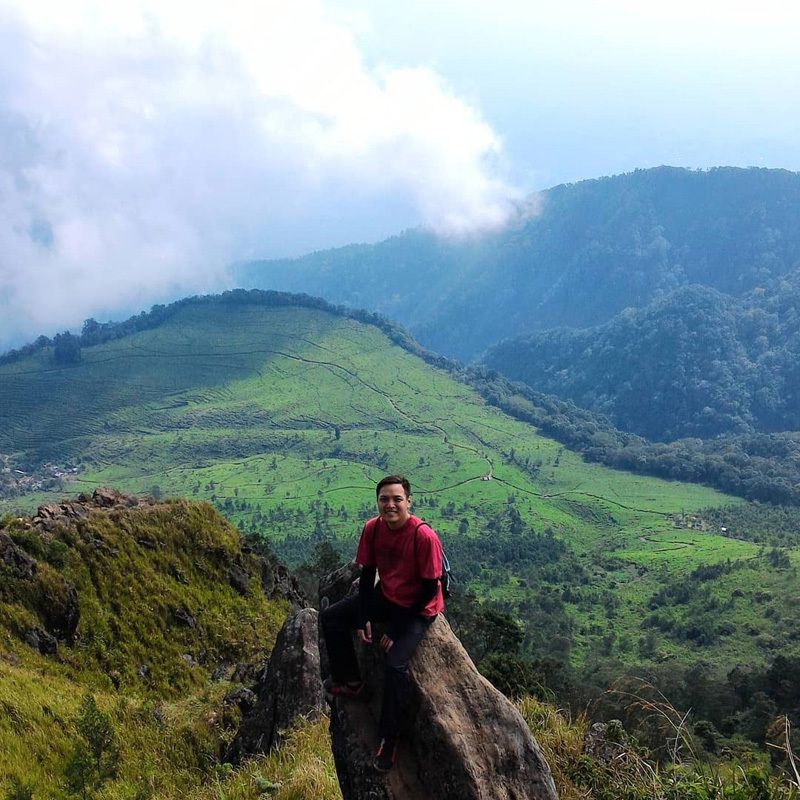 The area of Ungaran not only offers challenging hiking trails and amazing mountain views but it is also rich in culture! 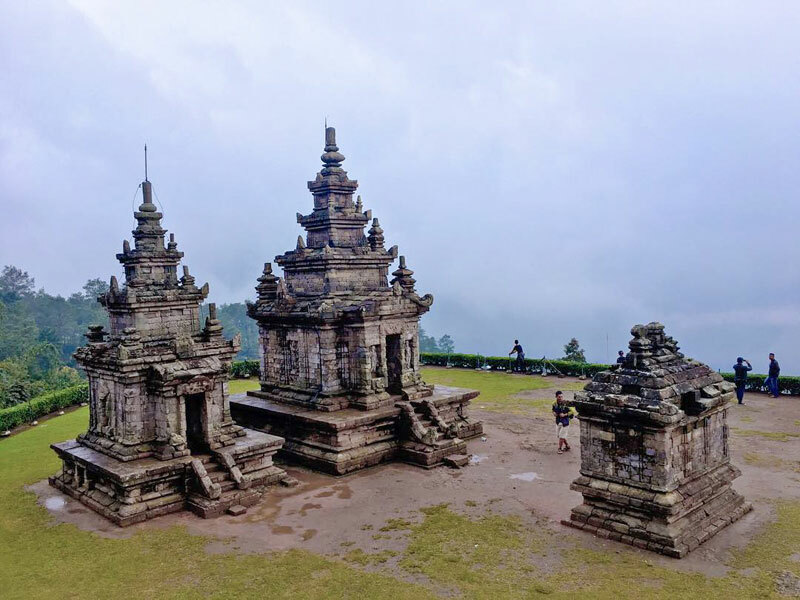 Located on the slope of Mount Ungaran, Candi Gedong Songo is known for its unique location as it sits higher than any other temple in the surroundings. The cluster of Hindu temples was constructed sometime between the 8th and 9th Century, but they have all been considerably restored throughout recent years following the influx of visitors. 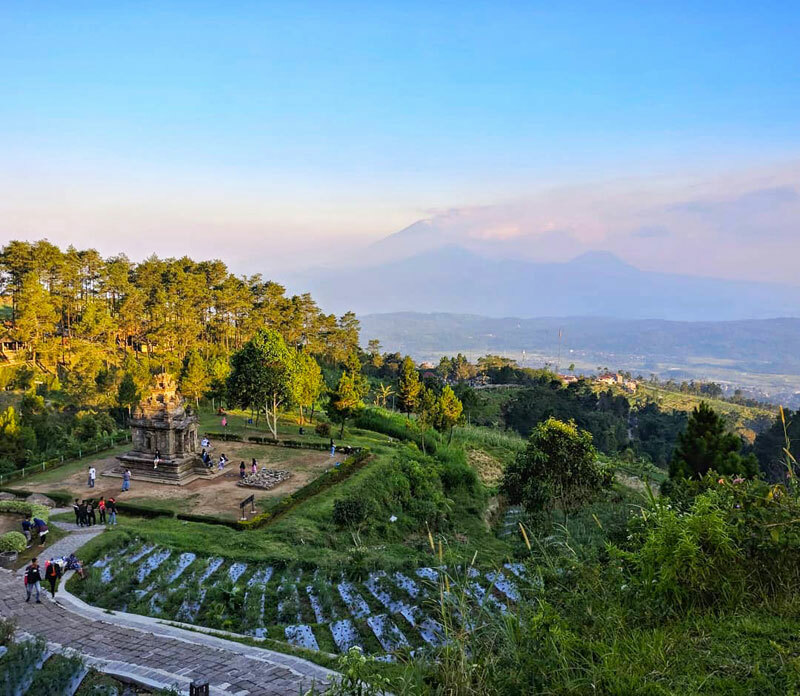 You won’t see any active worshipping here, but the location itself is magical as it combines culture and nature with the temples resting among mountain views and lush forest all around. Let your mind wander back in time with its serenity and peacefulness! Tip: Head over in the morning for the best views and feels while the sun gently pierces through the temples (plus you’ll avoid the flock of visitors!). 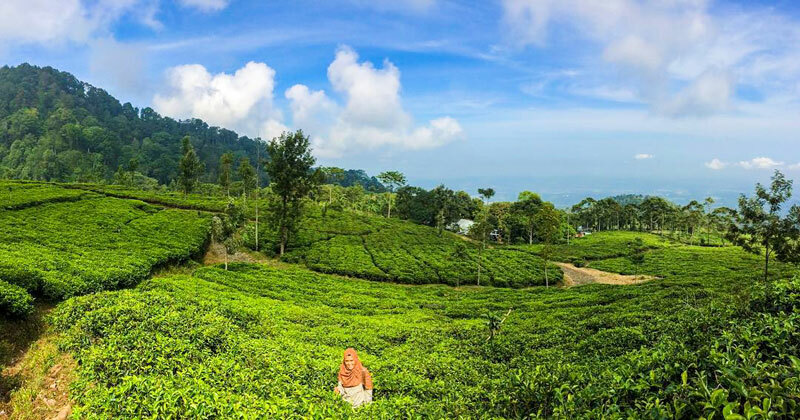 While on the road, drop by Kebun Teh Medini – these tea plantations are remarkable; their green, endless beauty can make your mind soar, and your heart sing. The location is still unknown to many so you won’t find a big crowd there – perfect for pictures! Those stopping by are mainly hikers who are on their way to trek the nearby mountain ranges. The way to the tea plantations can be challenging, but if you have a proper car, it should not be a problem. 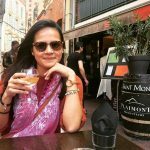 The tea plantations also lead to a secret cave (Goa Jepang)! Let us know if you manage to explore it! P.S. Don’t hesitate to ask the local villagers for directions, they will be more than happy to help! 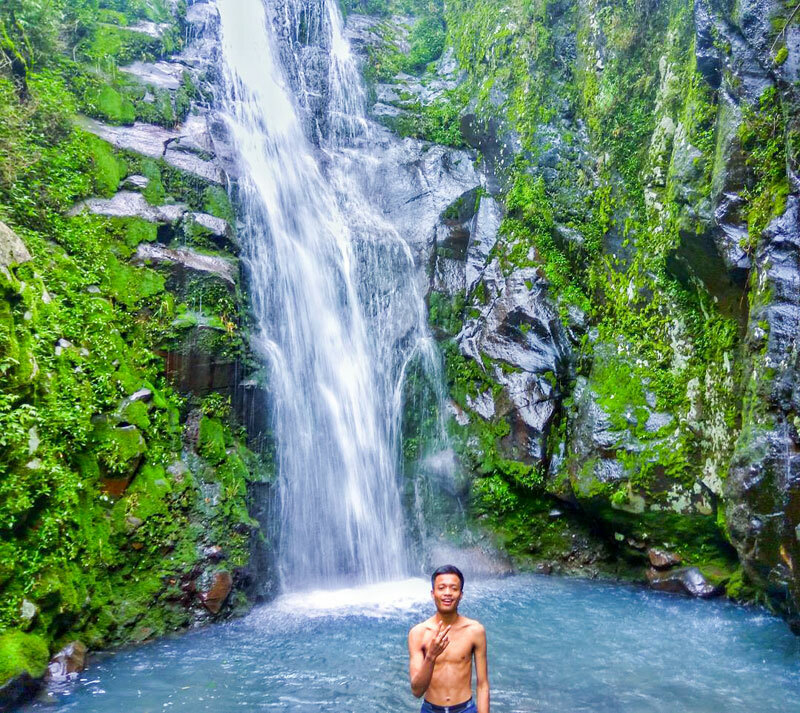 If just like us you are always on the lookout for hidden gems that are yet to be discovered, you’ll love a refreshing moment at Curug Klenting Kuning. 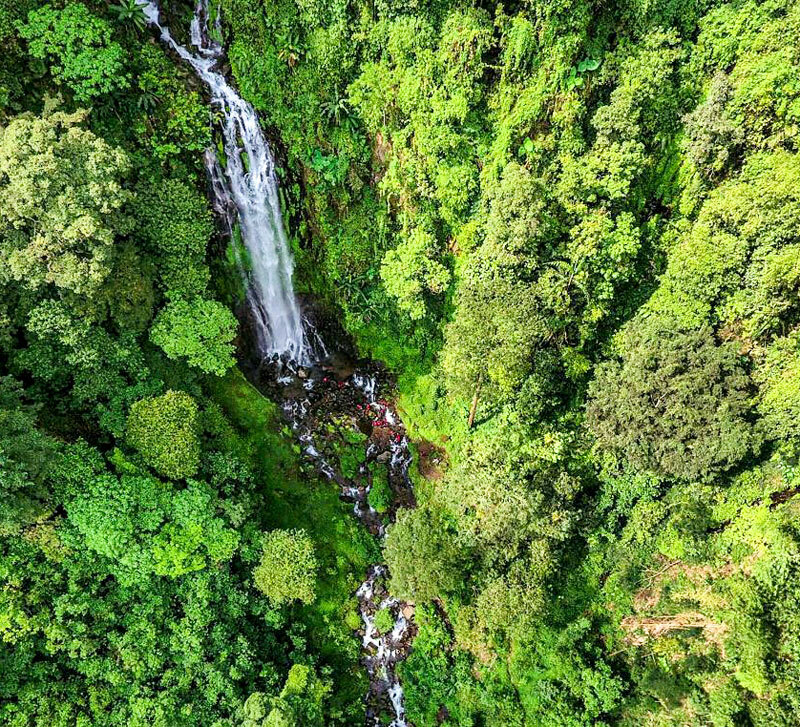 This small waterfall is unknown to many – untouched and remote! 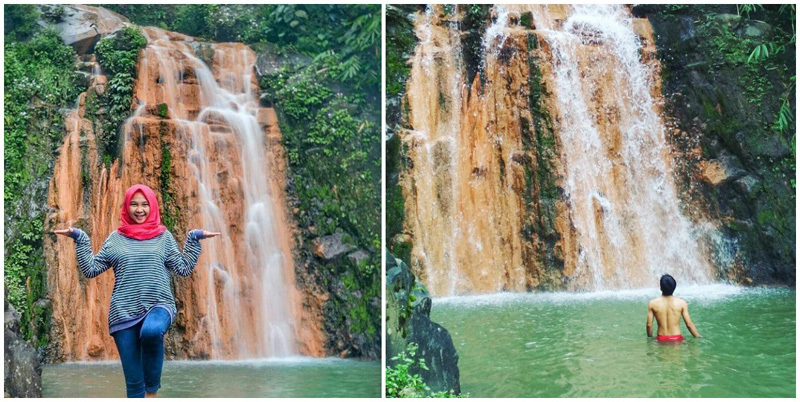 Located on a mountainside, you can expect fresh water, though not always clear due to the unique orange-like sulphur rock formations (this is why it is known as the yellow waterfall). 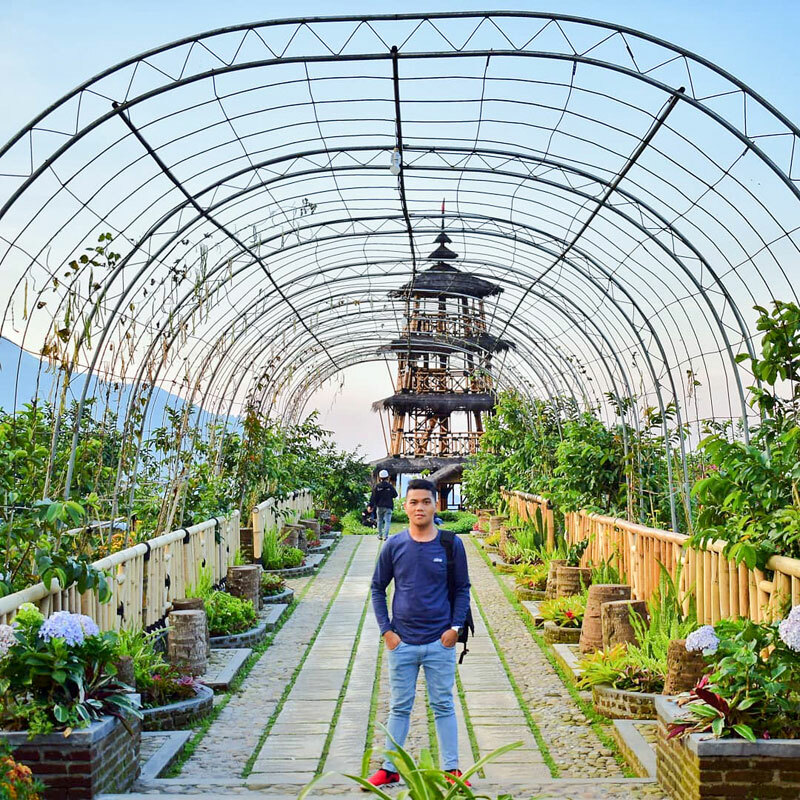 Back in old days, this place used to be a romantic spot for two famous lovers from the Javanese Keong Emas folklore, and this is the main reason why locals visit! You’ll fall deeply in awe with nature’s beauty here. While the trek down to the falls is not challenging, we recommend you to wear proper shoes as it can get slippery! 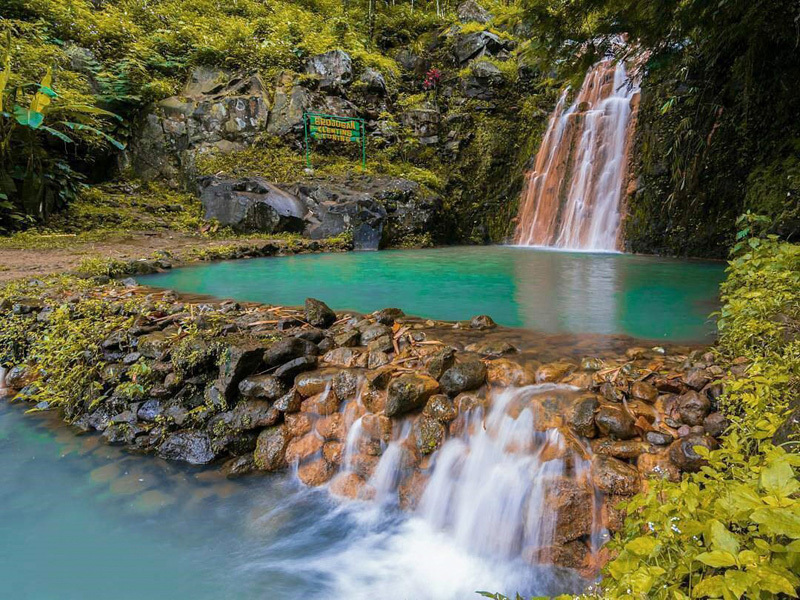 There are two small ponds below the waterfall that you can slide in for some splashy fun! Although hidden, you will be able to find basic facilities on-site such as changing rooms, toilets and an area for worshipping. 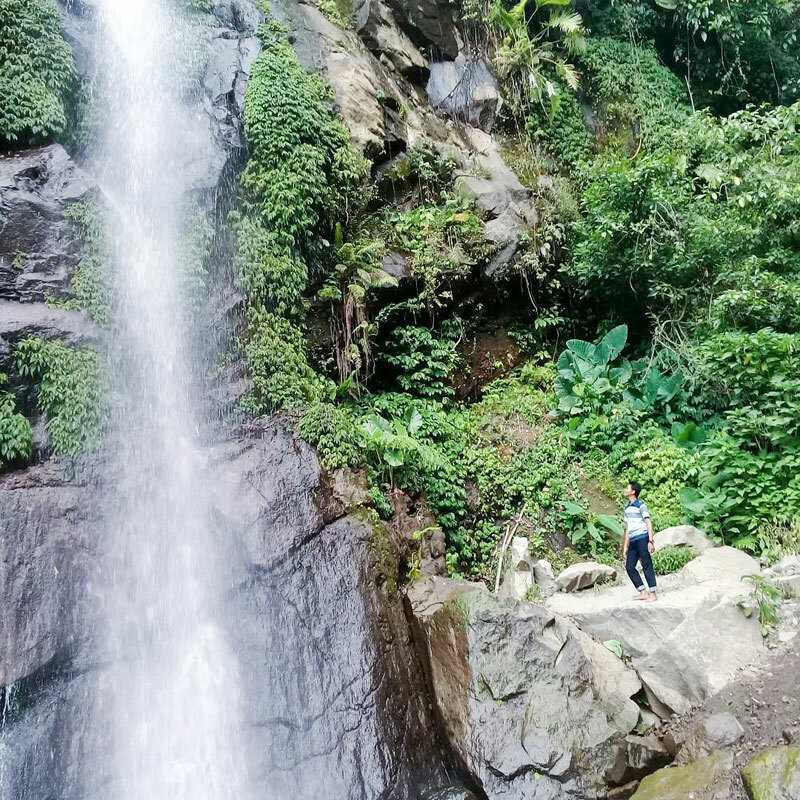 A 20-minute slippery trek down brings you to the natural beauty of Semirang Waterfall – cross the bridge and get closer to the sprinkling water or stand right under the small cascades for a refreshing time! You’ll definitely feel refreshed here, both physically and within! We recommend you to visit this city during the dry season from May to September. 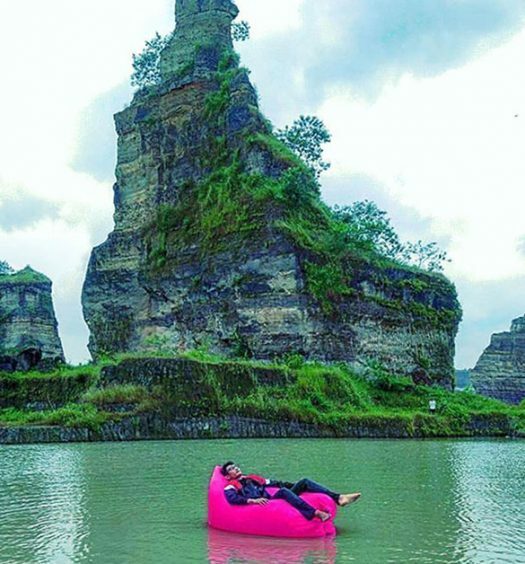 With lower chances of rain, you can enjoy all attractions in Bandungan and Ungaran with ease. This period is suitable for thrilling outdoor activities such as paragliding and hiking. Travelling around is much less of a hassle when you’ve got your own driver to take you wherever you want! Rental packages usually include fuel, toll fees, parking, and the driver’s meals throughout the day (make sure these things are communicated and discussed clearly with the driver/company before making a booking). Most operators will offer similar prices, with a general range of below Rp. 500,000 per day (USD $37) for 4-6 passengers. Mr. Ukhi has built a very good reputation over the years, and has now launched his own website. He speaks English fluently and can arrange the trip according to your requirements. Rates: Rp. 450,000 per day (USD $34), but may vary according to the destinations and days planned. Ready to put away the sun cream and switch to a scarf to enjoy these scenic highlands? 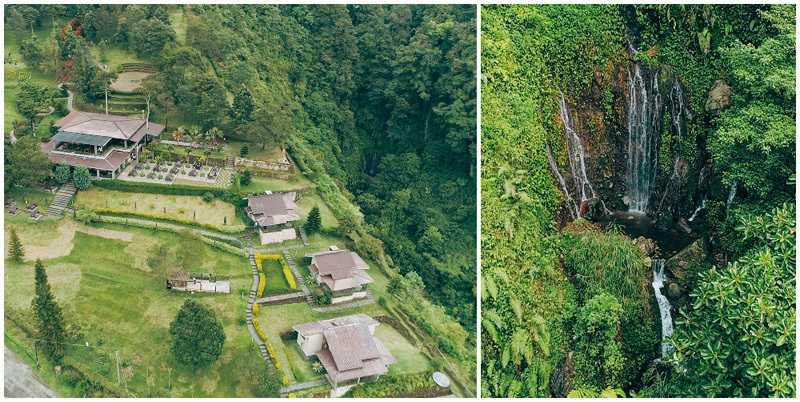 Tag your friends who enjoy chilly weathers and share with them these hidden gems right in Central Java!